ORLANDO, Fla. - Kobe Bryant took Michael Jordan's record, then nearly lost the game to LeBron James. 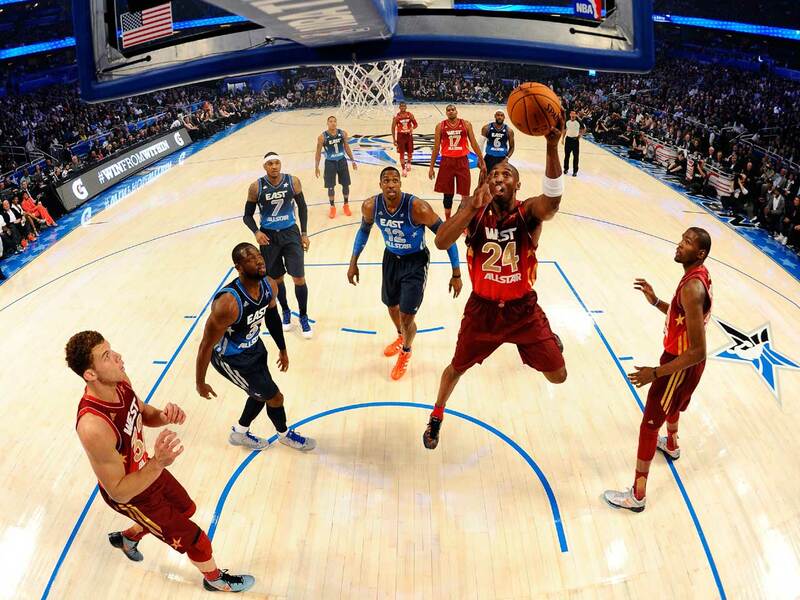 Bryant and the best of the West held off a furious East comeback, winning 152-149 in the NBA All-Star game on Sunday night. It nearly wasn't enough, as the East's comeback had the crowd filled with entertainers and athletes chanting for defense  never a part of the All-Star game vocabulary  in the final seconds. The speedy Westbrook had the East looking like it was standing still late in the first half, and it was 88-69 at the break. Howard and Derrick Rose ditched their orange sneakers in the second half  James kept his  and the East quickly got back into it, trimming 12 points off its deficit in less than 6 minutes. They even started to defend  Wade whacked Bryant so hard on a drive that the Lakers star needed a break between free throws to wipe blood from his nose before sinking it to tie Jordan. Williams scored 20 points for the East, Carmelo Anthony had 19, and Rose finished with 14.